Indian Prime Minister Narendra Modi recently met Tesla Motors CEO Elon Musk to discuss the implications of the Tesla Powerwall — the company’s battery energy storage technology — for India. It was a simple official visit, and as per media reports, there was no talk of Tesla setting up manufacturing facilities in India. The company, however, stated earlier that India could be “one of the potential markets in Asia to have a local assembly plant” if the government moves towards a pro-electric vehicle policy. If and when that happens, the real opportunity for India here is to leapfrog the conventional grid and move straight to distributed generation (and consumption) of power, something similar to what happened in the telecom sector where most of the country got connected via mobile telephony, without having to go through the landline model. But the important thing which the visit did achieve was to start discussions on Powerwall usage in India. As a proof, you can look at the comments from those discussing the (un)economics of the battery and spammers trying to drive some traffic to their sites. Even at its launch, the Powerwall was discussed in the niche forums in India quite extensively. At both times, the battery got dismissed outright as “a too costly to consider” solution. I have one small issue (and one big rant) with these (as I call them) pseudo-economic-experts. The problem with their discourse is that, to use an idiom, they miss the forest for the trees. They have no idea of the future and certainly no understanding of how technology pricing works. At least for us in the cleantech space, this has become a regular (boring) cycle now. Think of any new development — and all these people want to talk about is its cost right now. If the current costs are high (which, unsurprisingly, they are), the product/technology gets labeled as just another toy for rich green people. Don’t get me wrong — the cost is a very important issue. But it is insane to dismiss the whole idea as forever infeasible. I believe that to reject a technology by focusing only on its current cost rather than its future potential creates an artificial barrier for the technology. This is especially harmful for the cleantech industry, as it pushes the affordability tipping point by reducing the number of early adopters (what I mean). If it were left to me, I would classify this group in the same basket as oil companies trying to hide climate change data or their friends soft selling cigarettes by asking the wrong questions. Similar is the case with rooftop solar. Even though it generally makes complete economic sense to go solar, ordinary folks get biased due to the confusion created by passing remarks from pseudo experts. This reduces the number of people who want to make the jump, starves the market, banks hesitate from financing such projects/products, and from there onwards you can figure out the vicious cycle yourself. Now, let’s get to the non-rant part of this post. Why exactly are batteries (this post only talks about lithium-ion batteries) so expensive? The answer for the major part is simply due to the scale of deployment. While solar PV has reached 200 GW of installed capacity, batteries are still taking baby steps at best. The graph below compares the rate of deployment with falling costs for the two technologies (source). 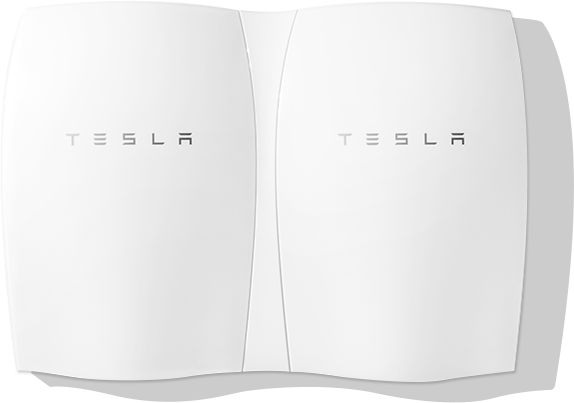 In spite of this, a product like the Tesla Powerwall, though expensive at its current cost for the US (save probably Hawaii), would be welcomed with open arms in Germany and Australia. Check this Wikipedia page to figure out other probable countries. The former two are important, though, because of their solar installations. As this excellent (though a little dated) presentation from Roland Berger explains, the main costs are associated with the high cost of raw materials and materials processing as well as the costs of the cell, packaging, and manufacturing. Raw materials and processing alone account for around 40% of cell costs and have huge potential for cost reduction. But if you have been paying attention, we are already there! These industrial-scale batteries will cost $250 per kWh of storage capacity — five years ahead of the schedule! An article published in Nature backs up these claims (paywall). Björn Nykvist & Måns Nilsson (Stockholm Environment Institute) show that industry-wide cost estimates declined by approximately 14% annually between 2007 and 2014, from above US$1,000 per kWh to around US$410 per kWh. The cost of battery packs used by market-leading battery electric vehicle (EV) manufacturers is even lower, at US$300 per kWh. If the battery has 80% usable capacity and holds 5,000 cycles, the cost of stored electricity in this evaluation will fall from €0.20/kWh ($0.25) in 2012 to €0.05/kWh ($0.06) in 2030. Should the solar power generation costs fall to €0.05-€0.10/kWh, electricity costs that are more than competitive with the cost of household electricity will result. The cost of solar PV is expected to fall about 40% over the next two years. With battery costs plummeting similarly, the next round of solar rush is set to witness a wave of a lifetime. And countries like India are waiting impatiently. How can you help? Don’t be myopic. Don’t push the future further away.